On Tuesday, beleaguered Indian carrier, Jet Airways cleared its final hurdle in its $397 million quest to sell a 24% stake to Abu Dhabi based Etihad Airways PJSC, when the Competition Commission of India (CCI), cleared the deal paving the way for the Naresh Goyal promoted Jet to receive desperately needed cash from the deal. The Union cabinet had already cleared the deal last month on October 4, the CCI approval now means that the deal, the first since the government announced a liberalised policy allowing foreign airlines to invest in domestic carriers, can be fully operational within, as little as, the next fortnight. This deal could not have come a moment too soon for Jet Airways, which is literally running on fumes. The airline which is reeling under a debt of almost $2 billion, desperately needs cash to retire high cost debt. In addition to the cash from the stake sale, Etihad has purchased Jet’s landing slots at Heathrow, will buy the airline’s frequent flier programme JetPrivilege, and will provide/arrange for loans under soft and discounted rates, which will used by Jet Airways to retire its high cost debt. The measure of financial need at Jet is visible in the performance of the carrier in the second quarter of this fiscal, where it posted an eye-popping loss of nearly Rs. 1,000 Crores. Jet Airways A330-200s grounded at New Delhi IGI airport. Photo copyright Devesh Agarwal. The operations performance analysis show an airline which is seriously lacking clarity. The international operations which were the bulk of revenue, have seen much of the airline’s Airbus A330-200 fleet grounded as non-profitable routes were withdrawn or curtailed. In the second quarter alone, the airline lost over Rs. 123 Crore ($205 million), or the cost of one new wide-body, just keeping the aircraft grounded. The airline was expecting to lease a couple of aircraft to Etihad, but could not do so due to “various reasons”. Can we attribute this lack of clarity to the transition in operational control from Jet to Etihad? Etihad is extracting its pound of flesh for its money. While both Jet and Etihad may publicly say otherwise, there is a clear re-alignment and re-organisation of operational strategy and divestiture of control to Etihad. Senior executives have resigned, including the CEO Nikos Kardassis, and Vice President Network Planning K.G. Vishwanath. In another move Willy Boulter, Etihad’s vice-president (commercial and network planning), is likely to take over as Jet’s chief commercial officer, replacing Sudheer Raghavan. Sources say Raghavan is leaving the organisation, as his powers and responsibilities are being curtailed. The commercial cooperation agreement (CCA) between the two airlines places enormous burden on Jet, requiring it to re-route its profitable and short-haul direct India-Dubai and India Sharjah routes via Abu Dhabi. One has to ask, why would someone replace a two or three hour direct flight with a four to five hour one-stop one? The CCA further goes to require Jet to re-route most of its international destinations via Abh Dhabi, with the exception of London, South-East Asia, and Australia-New Zealand. Reports are of Jet mounting flights to Newark, Toronto, and Chicago via Abu Dhabi. Agreement aside, Abu Dhabi Chicago is almost 7,300 miles just 50 miles less than New Delhi New York, a route, that the Jet Airways Boeing 777-300ER was not flying non-stop due to its ultra-heavy first class suites. Is Jet going to modify its cabins to achieve Etihad’s dreams? The agreement will also require Jet to dilute its scissor hub at Brussels, not operate flights in competition to Etihad, with the reverse not being true, not operate and discontinue existing bilateral relations and code-shares with other airlines which may be in competition to Etihad. According to the terms of the CCA-a copy of which has been reviewed by Business Standard-Jet would have to route its services from India to Sharjah and Dubai through Abu Dhabi as soon as it becomes economically viable. In what may additionally water down Jet’s operations out of its hub in Brussels (Belgium), the Indian airline would have to develop Abu Dhabi as an exclusive hub for flights to North America, South America, Africa and the United Arab Emirates (‘exclusive territories’). Canada too would be included in the list of “exclusive territories” once relevant amendments are made to bilateral air-services agreements to permit Jet to fly to Toronto via Abu Dhabi. Jet currently flies to New York and Toronto via its hub in Brussels. The CCA also restrains the Indian carrier from entering into code-share arrangements with third-party airlines, the impact of which may result in Abu Dhabi being bypassed as a hub for traffic to and from the exclusive territories. 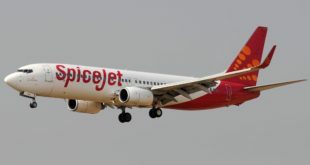 According to the terms of the CCA, Jet would have to exit existing joint ventures or code-share arrangements with other airlines which can adversely impact business prospects of the alliance it has forged with Etihad. Jet can form code-share arrangements with third parties to destinations within exclusive territories not served by Etihad or its affiliates – but only till such time as they do not commence operations on these routes. The two airlines have set up a coordination committee to “study” and implement “better cooperation” between themselves. Quite clearly, it is goodbye Jet Airways and welcome to Jetihad Airways. What are your thoughts? Share a comment?